Individualized Healing Protocols are available below. A deposit is required to schedule one of the sessions for treatment or consultation, with the deposit serving two purposes. The first is the usual payment for our time and expertise, but the second purpose is to anchor your commitment to your own process, a fundamental premise of mind-body medicine. If you are making a deposit for someone else’s session, please call 479-369-4959 to discuss the situation prior to making the deposit. The deposit for sessions may be prepaid below or by calling 479-369-4959. If payment arrangements are needed, please call 479-369-4959 discuss the situation and make arrangements. We are committed to helping people create the healing for themselves that they need; we will work with you. An invoice will be issued upon completion of each session. For sessions going over the booked time, additional fees will be added on a quarter-hour basis. If you wish to stay on site in one of StoneWind Retreat’s elegant yurt accommodations, reservations must be booked and paid for separately through the StoneWind Retreat website or by phone at 479-369-0049. All On-site sessions or consultations must booked at least two days in advance by phone at 479-369-4959 or at the time of a reservation if a yurt is also being reserved. For those with more complex issues who are unsure where to begin or what combinations of modalities would be most helpful in their specific situation, you can request a Healing Protocol designed specifically for you based on the medical conditions you are confronting. The Healing Protocol usually includes a range of modalities and technologies with suggestions for integrating the approaches into whatever medical treatment or condition is involved. (1) Sign up for a Healing Protocol Design to be held by phone and email or by email and on-site conference at StoneWind. (3) Return the Questionnaire by email or mail to the address provided. (4) Upon receipt of the Questionnaire, we will review the information, perhaps contact you for additional information if warranted, and prepare a written Healing Protocol with suggested approaches to the problems you have emphasized. The written protocol is then emailed to you for your review and use. If you have questions or have chosen an on-site meeting, then we will either schedule a phone call or a meeting to review the Protocol. We offer on-site, in person sessions to help you understand and further personalize the Healing Protocol designed based on your completed questionnaire. When you select the “Healing Protocol/On-site” option you will be sent a questionnaire to be filled out and returned by email or mail. We will then prepare a written Protocol, which will be emailed to you for your review. Once you have had time to review the Protocol, a meeting time will be scheduled at StoneWind for further discussion. On-site design sessions are one hour. At your request, we can help you create a Healing Protocol by email/phone conference . When you select the “Healing Protocol/Email” option you will be sent a questionnaire to be filled out and returned by email or mail. We will then prepare a written Protocol, which will be emailed to you for your review. Once you have had time to review the Protocol, a phone conference will be scheduled to answer any questions you have about the Protocol and to make further suggestions as needed. questionnaire to be filled out and returned prior to the phone session. The Protocol Phone Conference is designed for one hour. plus $50 each additional half hour. On-site consultations are available to students and clients with personal or health issues they wish to discuss. You can pay for an on-site consultation, then either call or email to book a time. Consultations will be arranged as quickly as possible, but for the best options, call two days ahead of when you would like to come. Phone consultations are available to students and clients with personal or health issues they wish to discuss or questions they need to ask that might have longer than usual answers. You can pay for a phone consultation online below, then either call 479-369-4959 or email us at session@swinstitute.com to book a time. Phone Consultations will be arranged as quickly as possible. Reiki treatments are available at StoneWind Institute with a day’s notice. in our East Room conference center. The sessions last from 1 hour to 1 hr 15 min. Out of the Box into a much larger box: One the most amazing skills within Traditional Reiki is the ability to offer Reiki powerfully to people at a distance. Over the years we have found Distance Reiki to be extremely effective in allowing us to offer healing without the constraints of local time and space. Recipients report significant improvement in their conditions with a few treatments. Distance Reiki Sessions must be pre-arranged with a specific time set for the energy to be received. The Recipient should be in a place of rest, preferably lying down, ready to receive. A short set of instructions is sent when the first session is booked. Distance Reiki sessions usually have a 30 min duration, although hour long sessions are possible if needed or desired. You may also elect to have an Energetic Reading done as part of a Distance Reiki Treatment for an additional fee. The Why and the What: Hawayo Takata, the woman who brought Reiki from Japan to the West, used to say “you can heal anything if you get enough Reiki.” The key here are the words “if…enough.” How much Reiki is enough is unknown in any given situation and can only be measured by the positive effects that manifest with treatments. In other words, as healing occurs it will be noticeable, even measurable, in multiple ways. We keep going until those smaller effects become larger and larger, until healing is obvious. Hands-on Reiki is powerful but not the most efficient way to meet the “enough” bar since on-site requires travel on the part of client and practitioner, and practitioners needs to charge for their time. If you learn Reiki for yourself, you can obviously give yourself as much Reiki as you need–if you have the time to do it. If members of your family learn Reiki with you, then they can give Reiki easily when needed. If everyone learns Second Degree, then the options for helping family members expands exponentially. But whether you are a Reiki Practitioner, and Advanced Practitioner, or not trained in Reiki at all, Distance Reiki Sessions allow everyone to leverage time and resources and be able to work toward “enough” more efficiently. For the skeptics among us, we totally get it. 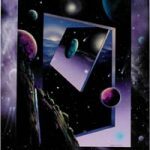 There is not one Traditional Reiki practitioner who did not say “uhh, what?” (in some form or other) when they began to study the advanced techniques. It is then that we really become aware of how small our paradigms (the belief boxes we live in) really are. But Takata knew Reiki to be an energy science in 1936, as witnessed by a note she wrote in her diary in which she said how much she valued the “energy Science” of Reiki. Takata had a late 1920’s high school education, but her Japanese Sensei, Dr. Chujiro Hayashi, was a medical doctor, who undoubtedly recognized there was science behind Reiki and said as much to Takata. However we choose to explain it, we are able to offer Reiki powerfully at a distance, and document results–and in this over-stressed world, it is an important aspect of what we do at StoneWind Institute. 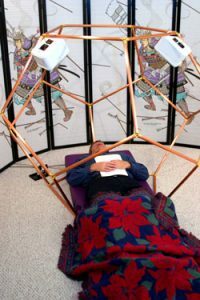 Out of the Box into an even larger box: In addition to the ability to offer effective Reiki at a distance, there are other techniques in the advanced energies of Traditional Reiki that allow practitioners to gather information from the human energy field concerning the mental-emotional factors related to health issues and convey that information in a format usable by the client. We refer to these advanced applications as “energetic readings,” and they can be done in person with the reading the only purpose of the visit, on the table as part of a Reiki treatment, or at a distance as long as the client requests the reading. When done on-site, the client can be actively involved in the process, asking questions, receiving answers, and guiding the process. Hand written notes, a recording when practical, are provided when a session is done onsite. Energetic Readings at a distance must be prearranged and can be done as the primary activity or can be added as part of a distance Reiki treatment. The Reading must be requested by the person on whom it is being done. A short phone consultation prior to the reading and/or a short questionnaire sent by email is part of the request process. The questionnaire format gives permission, sets the parameters of the information sought, and establishes contact information. For Distance Readings a transcript in pdf format is provided by email. The whole-being experience of a DreamWeaving Session rearranges our energetic structure through sound, vibration, shape, and focused intent in a beautifully soothing and heightened experience of music. The DreamWeaver offers a powerful tool for stress and pain management, emotional pain relief, energy balancing, physical and emotional healing, and hence overall wellness. Countless studies have shown stress to be the largest contributor to disease, but thousands of DreamWeaver clients in the US and Europe have reported significant positive effects in stress reduction and the restoration of emotional and mental balance. Further, those dealing with ongoing medical conditions testify to accelerated pain relief, increased healing, and a renewed sense of well-being. DreamWeaver sessions usually last from one to two hours and are available by appointment. Our DreamWeaving Facilitators are continuously exploring and incorporating new applications for the DreamWeaver in pre- and post- allopathic care, prenatal care, the relief of symptoms of ADD, ADHD, PTSD, addictions, cancer, and numerous other health issues. Although DreamWeaving sessions are extremely helpful in a wide range of healing situations, a DreamWeaving Session is not the best place to begin the healing process unless there is a clear understanding of the origins of the issues involved. For this reason, we ask those who have not done other forms of learning and clearing at StoneWind or elsewhere, to consider a Healing Protocol or at least a Consultation before scheduling a DreamWeaving Session. If a DreamWeaving Session is appropriate based on the Consultation, then the password for registering for the Session will be sent by email or given by phone. All of this and more will be covered with applicants wishing to incorporate DreamWeaving into their healing process. DreamWeaving sessions usually involve 1-3 hours of prep time with the actual session lasting from one to two hours in the DreamWeaver. Most DreamWeaving sessions are held on-site with workup done by email and phone prior to the session. On site DreamWeaver sessions are scheduled by appointment, and depending on the scope of work desired and the amount of time spent in intent workup, may take from 1 to 2 hours actual time in the DreamWeaver. “Intent statements” and other preparations are done via email, with time spent reading and answering questions included in the Prep time. Actual session charges are based on the length of time in the DreamWeaver, which is always at least one hour. + Prep Time ($90 per hour; $1.50/minute). with Facilitator, then facilitator preparation of music to be used during the actual Session. we have determined that a DW session is appropriate for the issues presenting. Using the Distance Reiki techniques of advanced Traditional Reiki, DreamWeaving Sessions are frequently done with the client not physically present in the DreamWeaver. Distance DreamWeaving Sessions are most frequently the choice of those who have advanced Reiki and therefore already understand the process, although for those wanting/needing a DreamWeaving Session but unable to travel to StoneWind, the Distance Session is a very effective method. Distance DreamWeaving sessions can be done on anyone who so desires, whether they have or understand Reiki or not, as long as the steps outlined below are followed. + Prep Time ($90 per hour; 1.50/min). sometimes even more effective,than on-site sessions. 1. Workup of Intent by email and phone discussion (same process for all session forms). 2. Set-up of time and place for the Session on both ends with specific arrangements: (a) The Client must be in a place, at a time when he/she will be uninterrupted; (b) He/she must be near a phone for the reading of the intent statement into the energies of the DW; and ( c) He/she must be able to lie down or be in a resting state during the session. 3. Session format: At the beginning of the session, the Facilitator uses the Distance techniques of Reiki to bring the person present into the DW and anchor them there. The Facilitator will then begin the music for the session (sets the energies in the DreamWeaver), call the DW client on the phone, and have the person read the pre-designed and reviewed intent statement over a speaker phone into the energies of the activated DW. Once the energies of the intent statement are present in the energies of the DW, the phone connection is ended, and the Client lies down or moves to a reclining position for the duration of the session. 4. The Facilitator does the DW session exactly as if the client were physically present in the DW. When the session is over, the Facilitator calls the client to discuss what happened on both ends. 5. StoneWind Institute mails a CD of the actual music used during the session so the client can repeat the session at will, with the recommendation that the session be repeated at least once after the CD is received. An mp3 file can also be emailed if preferred.